Welling School is a specialist art college and secondary school in the London Borough of Bexley. As a specialist art school they produce a wide range of publications including æ - Arts and Education Newspaper and the catalog for the annual alTURNERtive Prize. Co-DB was approached to collaborate with Welling School to create a display trolley for their reception area that would showcase the diverse collection of ephemera created by students and staff. 15 key stage 3 students were selected from 300 after doing a project, specially devised by Co-DB, that was delivered during lessons by the Art Department. The students were given a brief and asked to design an innovative displays for a collection from the imaginary "The National Museum For Collections of Stuff". Collections included inflatables, stuffed birds and balls. For the selected students Co-DB then ran 2 day long workshops within the school. Day1: Design. Co-DB took the students through the design process from a site visit to talking to the client and creating initial design presentation sheets. Over the next two weeks the final design was developed by Co-DB from the designs created by the students in the first workshop and feed back from staff and students. 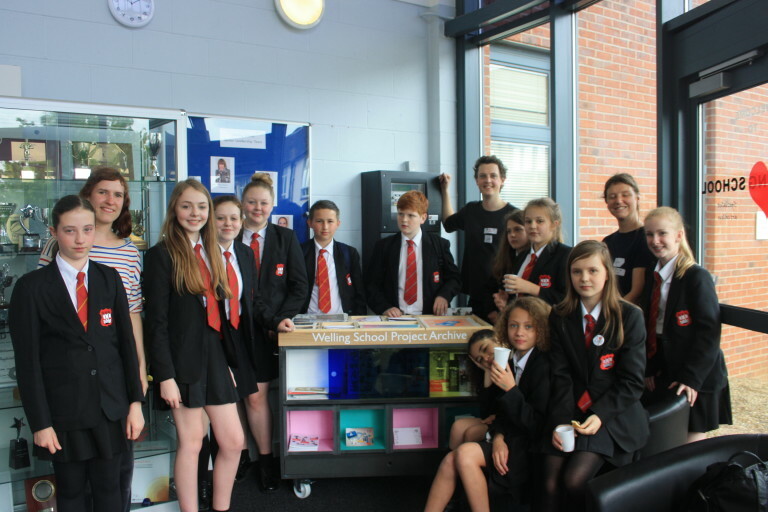 Day 2: Build included understanding the process Co-DB went through to get to the final design, project managing the build to make sure it would be finished on time, construction and ended with a launch party for the finished trolley in the reception. "We had an amazing time and watching year sevens get to grips with, and become confident using, power tools is why we love what we do!"